and then choose Youth Cancer Trust as your preferred charity and Amazon will donate 0.5% of the net purchase price (excluding VAT, returns and shipping fees) of eligible purchases to the Youth Cancer Trust. 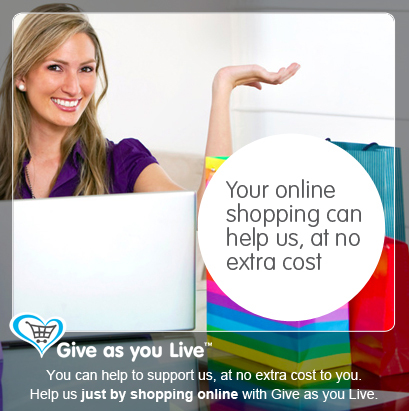 You Can Help Youth Cancer Trust, just by shopping online – by Give As You Live!! You can now help Youth Cancer Trust – just by shopping. Shop with your favourite stores and they’ll donate to us – all without charging you a penny more. All you need to do is join and install Give as you Live. Visit the website and click “Get started”. Fill in a quick few details. Your information is safe. Install Give as you Live. This is 100% secure and takes seconds. Every time you shop online you can raise money for Youth Cancer Trust – without putting your hand deeper into your pocket. Start raising funds now. You decide exactly what percentage of your final selling price you’d like to give to Youth Cancer Trust and what percentage you’d like for yourself. 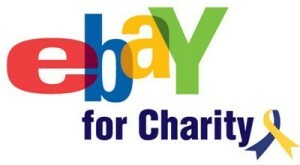 eBay for Charity listings are the same as any other eBay listing, except for the blue and yellow eBay for Charity ribbon in search results and your chosen charity’s mission statement and logo in your listing. This means your listing can be seen by everyone who searches through eBay.co.uk. It’ll also get extra visibility through the eBay for Charity pages. When you buy an item with the eBay charity ribbon, some or all of what you pay will go directly to Against Breast Cancer. 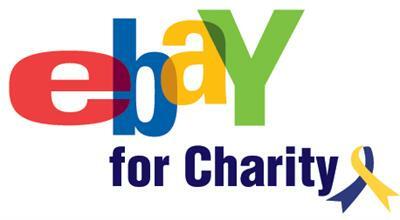 Any seller can list ebay charity items, if you see the logo you know you’re supporting a good cause. When you choose Youth Cancer Trust as your favourite charity, this allows you to make an optional donation every time you buy or sell on ebay and is another way to help fund the work we do with young people with cancer. Your donation will be collected by PayPal Giving Fund, ebay’s charity partner and appear as a separate transaction paid to PayPal Giving Fund in your PayPal account. Simply tick the Gift Aid box when you first list an item for charity, provided you pay more in UK income or capital gains tax than you’re asking charities to claim back in each tax year. PayPal Giving Fund will collect the Gift Aid from the government and pass it on directly to Youth Cancer Trust. Choose from over 2000 of the UK’s best-known retailers including many popular names such as Amazon, M&S, Argos, John Lewis and HMV, and when you shop using the links on the easyfundraising site up to 15% from every purchase you make is donated to the Youth Cancer Trust. It doesn’t cost a penny extra to shop and raise funds for YCT, and many retailers now give extra discounts when you buy online, you can even save money!